This Just In From CNN: More Fake News! I was fully aware that the mainstream media would go into meltdown mode when I was called on first during President’s Trump Wednesday press conference with Israeli Prime Minister Benjamin Netanyahu. Furthermore, when I didn’t specifically ask about the timeline of what Trump may have known specifically about the Flynn information and his aides’ conversations with Russia, I figured I was in for a beating. I should have brought smelling salts with me to the East Room of The White House. I could have handed them out to all of them personally. Look, let’s begin with this: the fact that the president called on me and not on any of the traditional media outlets is really what is bothering all of them. They feel entitled to ask a question but the last time I checked, I only see the First Amendment in the U.S. Constitution. I don’t see the, “Mainstream Media Entitlement Clause” inside. Did I miss it? Maybe it’s in the Federalist Papers. Or maybe not. I get it. They feel shut out and they’re frustrated. The media landscape has flipped on its head, their brains are exploding and their bias is showing like never before. That’s the underlying issue. Now, as for their beef with the question I asked, it’s so easily explainable. First of all, I did ask about Russia and Flynn! Did they not listen to my question or did they think I was going to read from the Bible when the president called on me so they tuned me out? Sure, I didn’t ask what THEY wanted me to ask but I’m not in the business of satisfying traditional media outlets. 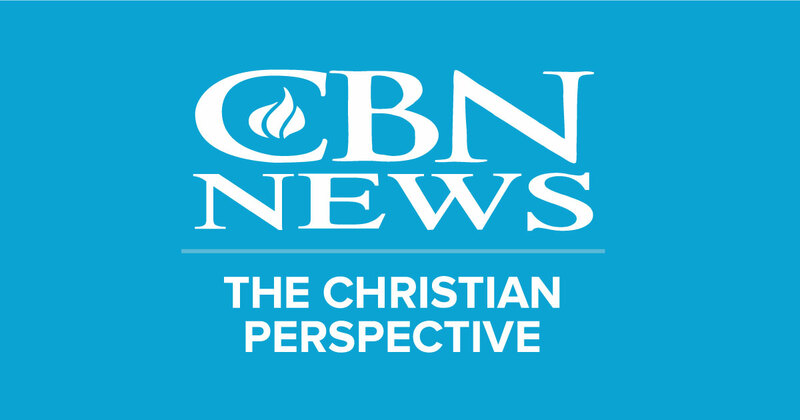 I’m in the business of serving our viewers because I work for CBN News. We have one of the largest cable news audiences in America and Israel is a, “Tier A” issue with them and sitting before me is the President of the United States and the Prime Minister of Israel at a press conference about…wait for it…wait for it…Israel/U.S. relations! You think I’m going to ask a question about something totally unrelated when our audience wants answers on an issue near and dear to them? Folks, that would be journalistic malpractice. Having said that, you still can’t ignore the Russia/Flynn story completely so you try to thread the needle. That’s exactly what I did. In one question, I brought up the Iran nuclear deal (extremely important issue for our audience not to mention the world! ); the settlements controversy (big issue) and I mentioned the Russia/Flynn news. I knew that simply mentioning Russia/Flynn in my question would get the president to say something on the topic. Indeed, I was right. Here’s another point to make that’s crucial in the context of this conversation: notice the difference in spelling between CBN and CNN. One consonant makes a world of difference in terms of worldview (biblical vs. secular). That should not be lost in the context of this discussion. CNN’s Jim Acosta: "In the last three news conferences, Wolf, all of the questions to the American news media have been handled by conservative press. I think, Wolf, there's no other way to describe it, but the fix is in…This president does not want to answer questions, critical questions about his associates, his aide's contacts with the Russians during the course of that campaign, just as his national security adviser is being run out of the White House on a rail…They may think this is being cute, or being strategic in trying to shield the president from questions, but those questions can only be shielded for so long." Oy-gevalt! Where do I begin? What Jim Acosta said on CNN Wednesday is insanely ridiculous (I used those words in a southern, ‘Bless your heart’ tone). Acosta’s beef may be with The White House and not necessarily outlets like CBN but to lump us in and attach that phrase to us is reckless, downright wrong and insulting. If the, “fix was in” then there would have been dialogue about how to ask the right question. There was never any of that. As a matter of fact, in ALL of my interviews with Donald Trump I was never once asked what the questions or subject matters would be. Secondly, if the, ‘fix was in” then why in the world are we interviewing Barack Obama (four times), Harry Reid multiple times, Al Franken, etc? That doesn’t sound like a conservative media outlet that has a “fix” in for anybody. Plus, I’ve asked Trump plenty of uncomfortable questions regarding transgender rights, the pro-life issue, traditional marriage and how some evangelicals have a problem with his tone and remarks at times. President Trump is looking for media outlets that will give him a fair shot. Barack Obama interviewed with me four times because he knew I would be tough but fair. Maybe Acosta and his fellow comrades (bad word choice?) need to look in the mirror and realize that it’s deeply “rich” of them to complain against bias conservative outlets. Now that takes the cake! (Millenials, Google that expression). Oh, and while we’re on this subject, let me ask one question: why didn’t we hear any complaints from the traditional mainstream media outlets when the Obama administration rarely (if at all?) called on so-called non-traditional conservative media? Why wasn’t the “fix” in then? Where was Jim Acosta and his mates then? It’s a blatant double standard. And that’s not “fake news.” That’s TRUTH. I’m going to drop the mic now. I’m out.